The inaugural California Wildlife Day celebration at Garland Ranch Park (hosted by the Carmel River Watershed Conservancy and Monterey Peninsula Regional Park District) was blessed by good weather and a turnout of about 450 people of all ages. Native American Linda Yamane opened the event with a Rumsien blessing followed by comments from Co-Founders Beverly Eyre and Lorin Letendre. Senator Bill Monning, Assemblyman Mark Stone, Supervisor Mary Adams, and MPRPD Board Chair Kelly Sorensen spoke eloquently about the importance of preserving and honoring our wildlife; and live demonstrations of a peregrine falcon, great horned owl, and red-tailed hawk wowed the crowd. Many students created art, poems, and science projects about their favorite wildlife, and ten of them presented their crafts to the audience. All in all, a great start of what will be an annual event on each Spring Equinox! WildCare hosted a special family friendly event in their Courtyard on March 20th, 2018. Visitors were encouraged to bring "gifts" for baby birds. An evening talk with Dr. Juliana Sorem: "Treating Wildlife: A Veterinarian's Perspective" followed. Visit here for more info. Lindsay Wildlife Experience celebrated California Wildlife Day by dropping its admission to $1 on the Spring Equinox (March 20th) of 2018. 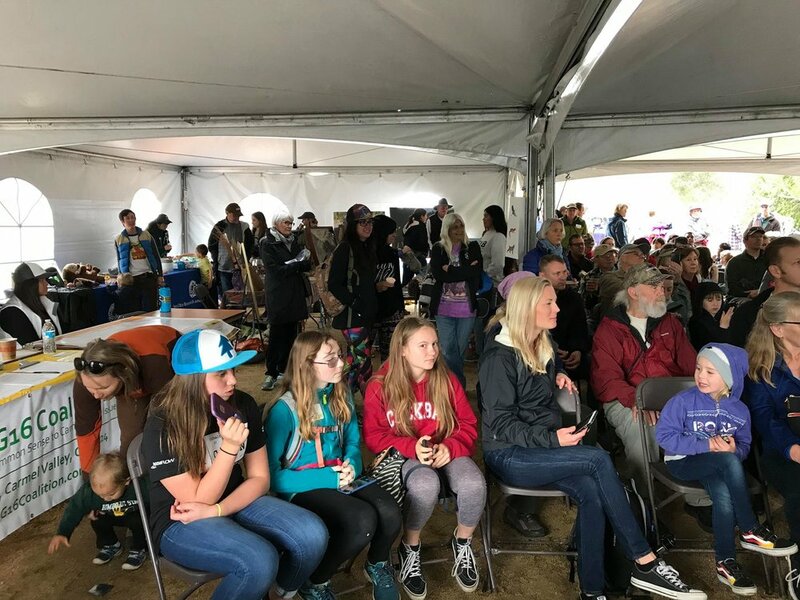 Lindsay strives to connect people to the wildlife of California; this was their second Dollar Day event. Check their event info here. California Wildlife Center and the National Park Service invited a local Fourth Grade class to the Santa Monica Mountains National Recreation Area Interagency Visitor Center on California Wildlife Day, March 20th, 2018. 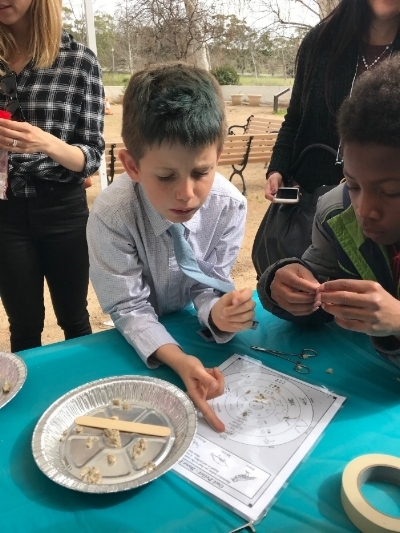 The students learned about local wildlife through nature walks, activities and crafts including owl pellet dissection with California Wildlife Center staff and volunteers.